People love collecting things and although some collections begin as an interest, some become a hobby and eventually a passion. The thing that every collector has to take into consideration is where to store these prized possessions! For some the objects might hold memories or sentimental value, which means getting rid of them might be extremely difficult. 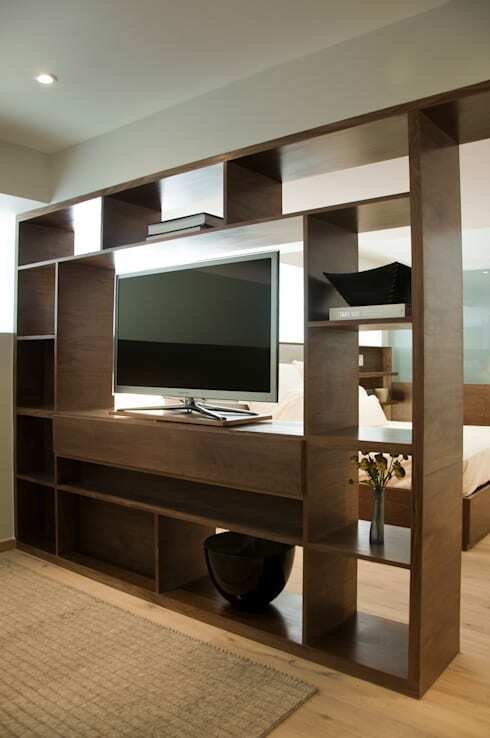 This Ideabook aims to provide you with great storage solutions to be used throughout your small home! The space beneath the stairs is often forgotten or neglected as an extra few square metres and may be just the storage solution you require! This area is excellent to store those winter coats and boots that you do not have space for in your bedroom closet during summer. Alternatively, think out of the box and use the staircase to store your extra cleaning supplies or even as an extension of the pantry for tinned food products so you never run short when hosting a dinner party! Be creative and add these cool sliding drawers for ultimate space saving by Chasewood Furniture. 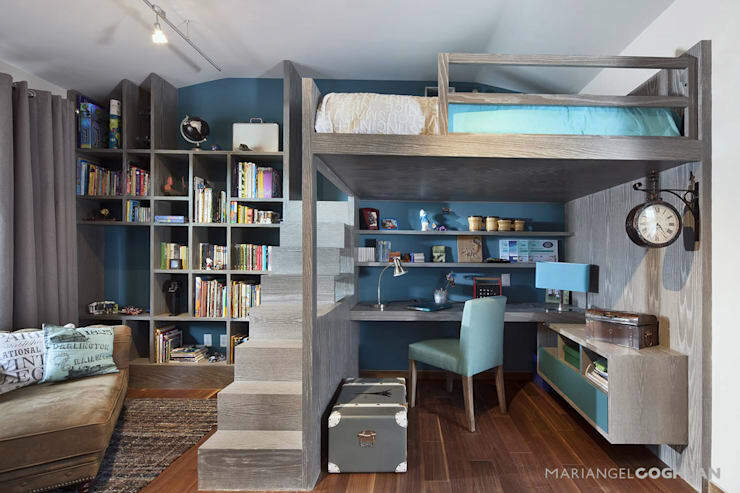 Create your own mezzanine level within your studio apartment and instantly have extra storage under your bunk bed, this idea is fun, dynamic and will definitely give your bed that loft apartment look and feel. While at the same time you don't lose out on floor space and can create a home office! Who says you cannot have the best of both worlds in home office space and a comfortable bed? Add in some extra shelves underneath the bed too for perfect organisation of all your documents and important files. This idea will be perfect for a small kids room too, use the space beneath the bunk for toys and colourful boxes. So your kitchen space is limited. This doesn't mean that you have to give up on inviting those few close friends for cake and tea. 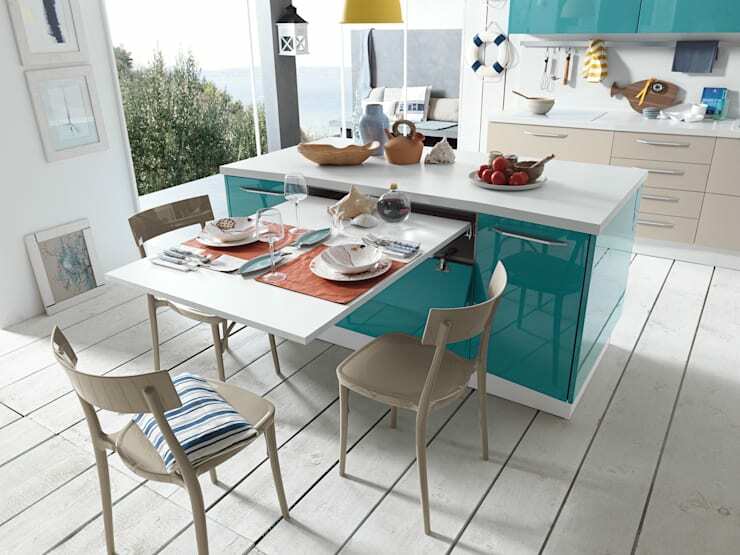 Simply look again at your space and see what can be added, this adorable extending kitchen table embedded in the island creates a comfortable space for three people and can easily be folded away when no longer needed. Ingenious and cute! See there are no excuses to living big! 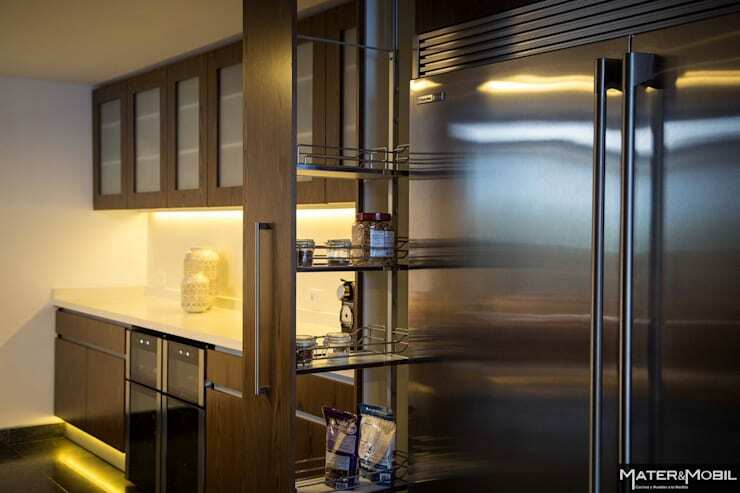 Have you ever considered including extra cabinets in your home? These can go a long way in ensuring that your bed linens and guest towels are perfectly stored! So why not start looking at potential cupboard space in your home and think about how many drawers and shelves can be included for ultimate space saving! 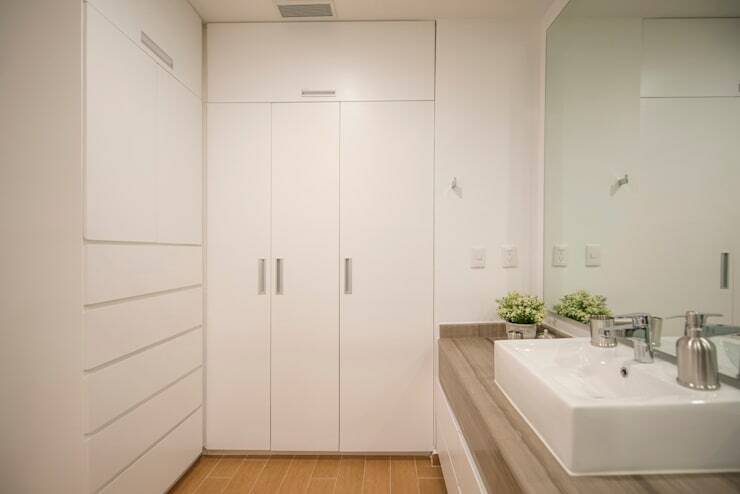 Another tip is to use an all-white cupboard door for a less crammed and uncluttered appeal as seen in this bathroom idea. Small homes are often open plan, but that doesn't mean that the interior has to be without its intimate spots, adding a shelf such as this serves a dual purpose… it is both a storage area and also serves as a separator for the room, while adding a modern finish with the sleek and clean lines and minimalist detail. This decoration if placed correctly can create a completely different interior experience! 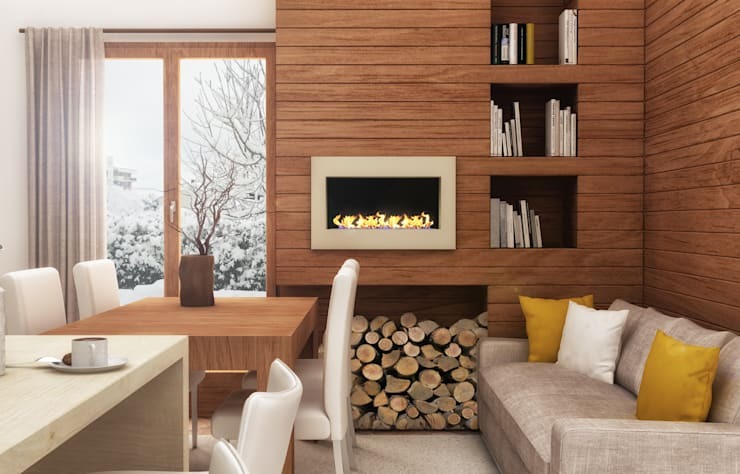 The best way to maximise space in a small home, is to make use of shelf space available or creating new shelf space along the walls, this is seen clearly in the image as the fireplace creates a warm and intimate atmosphere, while the extra storage beneath for the wood and along the side for reading material makes this space come together quite elegantly. The living room design is comfortable and all the elements are well-presented making it the perfect place to be during winter. This amazing storage solution makes use of every last corner of the kitchen! Those items needed everyday are stored here making it the most easily accessible place for storage in the kitchen. The idea is that space is not wasted and it comes in handy, there's never too much storage space in any kitchen and these shelves prove that storage solutions are necessary all the time. For more inspiration, be sure to check out: Making Small Homes Great With Creative Décor. Do you plan on using any of these ideas in your home? Share your plans with us in the comments!